Magnetic Power Slide Work Flashlight. A must-have essential for your vehicle. 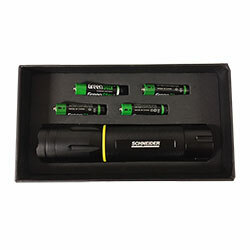 A strong magnet and a high-powered flashlight all in one, this practical item is an excellent resource to have in your safety kit in case of an emergency situation. Appx Size: 1.38" x 5.75" x 1.38"